We’re all familiar with the amazing Chromebook laptops but you may not know that you can also get Chromebox devices. These standalone PC replacements are the desktop version of Chromebook and are ideal for video conferencing. With a few new updates, today Google have made them even more of a must have for your company meeting room. If you haven’t already seen the Chromebox range of devices then I would really recommend you check them out. 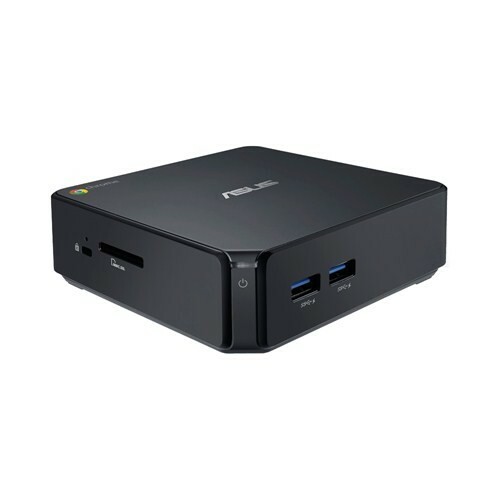 The Asus Chromebox M077U is just one of these devices and offers a tiny footprint, low power consumption and management features which suit it to a commercial setting. Google have today announced dual screen support for their Chromebox devices. During a video call one screen will show the meeting audience and current speaker while the other can be set to show the local room or the current presentation. This is an ideal way to reduce the level of screen switching that sometimes goes on during a large meeting. Finally Google have announced remote management of the video meetings themselves. Chrome devices have long had a good remote management tool for IT staff to manage these devices. However you now have the ability to manage the video meetings themselves. An administrator can remotely start, stop and mute a meeting as well as other tasks. The original Google announcements links are below.